The Department of Veterans Affairs will host three business opportunity sessions to discuss with industry the requirements of the agency’s electronic health records modernization program. The Office of Electronic Health Record Modernization, which manages VA’s EHR modernization efforts, aims to use the industry feedback to guide the transition to the new records system, according to an FBO notice posted Monday. 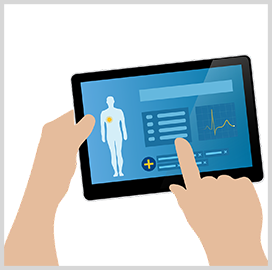 VA will seek information on preparation management, deployment and maintenance of the EHR system. “This is a veteran-centric approach that supports service members transitioning from military service, and will drive better clinical outcomes by giving health care providers a full picture of patient medical history and enhance collaboration with community care partners,” VA said in the notice. The agency has yet to announce the schedule and location of the business engagement event. Cerner is currently helping VA update its EHR system under a potential 10-year, $10B contract. The company established a group of private firms in 2018 to assist in the modernization program.